Bonnie, trainer of Hail to Genius, remembered the horse well. She and the owners of the stable she trained for, were on what she callled, "their first shopping trip" and they had traveled to a number of states and had not found one horse that was right.. Bonnie received a phone call to come look at a horse that was showing at the Arizona A to Z show and there they purchased Hail to Genius. He was in harness at that show. They took him back to their stable and put him under saddle and she said, "We did really well with him." 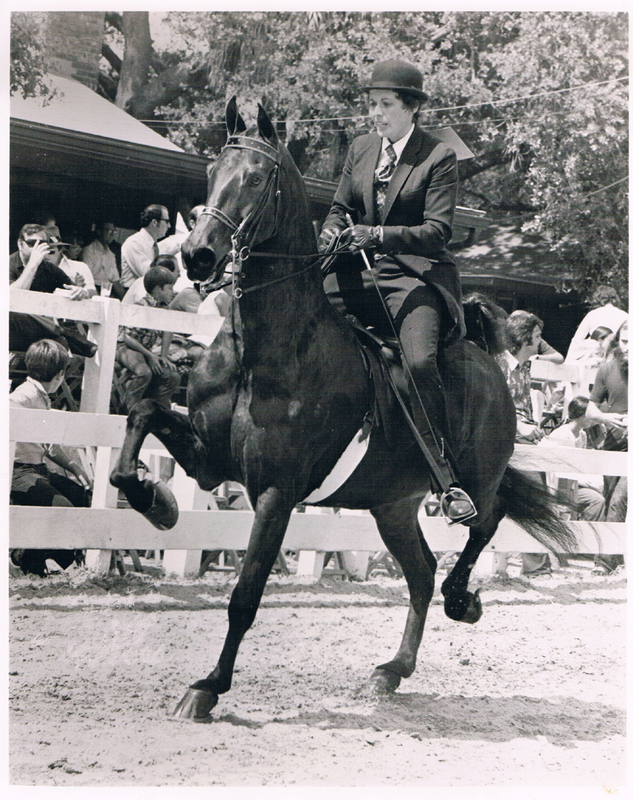 She trained him and rode him in most of the shows until they sold him in 1975. When asked if she would share what she remembered about him she said without reservation, he was a very pretty horse, very nice-she described him as very refined, good motion, good manners, a very nice horse.She later wrote in a note, "He was a grand horse."